Snowden, who leaked information about the National Security Agency's surveillance programs, "spurred a necessary debate" about the collection of U.S. telephone records, former Attorney General Eric Holder told Yahoo News. The DOJ, however, hasn't changed its official position on Snowden, a spokesman said. The DOJ wants Snowden to return to the U.S. from Russia and face criminal charges, the spokesman said by email. NSA officials have reportedly considered a plea deal for Snowden, including some jail time. But Ben Wizner, one of Snowden's lawyers, rejected the possibility of pleading guilty to a felony. "We don't believe that a felony conviction and accompanying loss of civil rights would be the appropriate consequences of Snowden's actions," Wizner said by email. 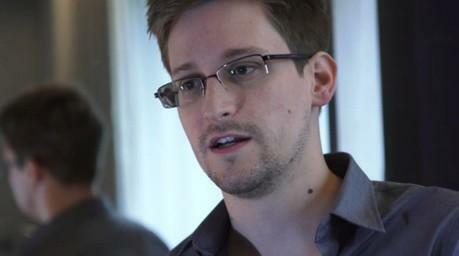 Snowden fled to Hong Kong after leaking NSA documents to news organizations in mid-2013. While en route to Ecuador, where he was promised political asylum, Snowden was stranded at the Moscow airport, after Ecuador received U.S. pressure to rescind the offer. The Russia government later offered him temporary asylum.